I get this question a lot at the gym: Can I gain 30 lbs of muscles in a month? Some guys spend years at the gym hoping to build more muscles or tone them better, but they simply fail to do that. I wrote earlier about the most common reasons why you can’t build muscles. No matter if your goal is to get pumped up muscles, better chest, or similar, the next 10 tips will help you do that in a short while. Just remember, this doesn’t mean you will look like Rock Jonson overnight. However, you can speed up the bodybuilding process by following these pieces of advice. 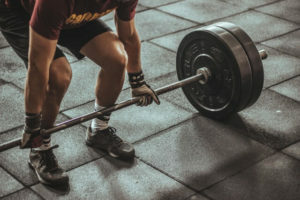 If your goal is bigger muscle mass, take note that the only way to significantly increase your muscle mass is by breaking down muscle fiber and the only way to do that is to make your muscles work out with the weight they aren’t used to. So, if you aren’t a construction worker or similar that requires physical work, you need to work out with weights, dumbbells and other gym equipment for weightlifting so that you can make progress in building muscle. 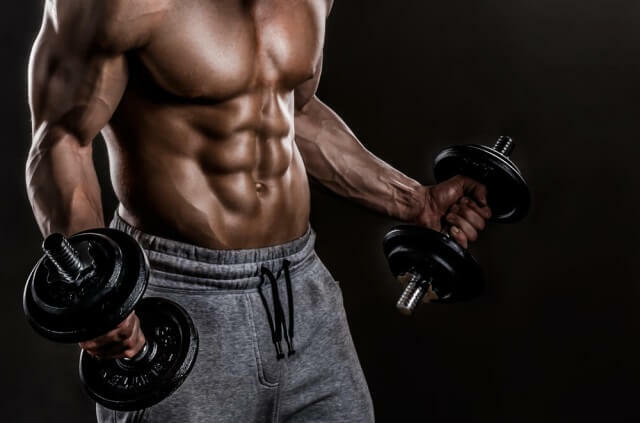 Many guys try to build muscle, but they don’t use the right weight during their training. You need to do exercises that range from 8-12 reps per set, 3-8 sets per exercise and to use the weight that breaks down muscle fiber in each set. One of the reasons why bodybuilders work out with a partner is so that they can have someone to help them if the weight becomes too heavy to lift. 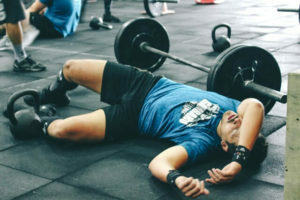 If you don’t have a buddy to work out with, you can simply stop after each set when you are too tired to exercise with weights, take a break for a few seconds, and then continue with the next set. This is a better way to build muscles than using weights which will allow you to finish the sets easily without muscle failure. But this doesn’t mean you should exaggerate. So, work with weights that allow you to do at least 8 reps per set. If you aren’t pretty skinny, doing exercises that involve only your joints for biceps or triceps, you won’t build muscles fast. Instead, you should try exercises that include more joints, like deadlifting, sidestep squat, or bench-press. These exercises engage more muscles at the same time, and they also allow you to use heavier weights than when you do exercises with only one joint. This doesn’t mean you should eliminate cardio for good. I recommend doing cardio once a week in your bulking phase. Your body needs calories to build muscles, so if you do a lot of cardio like running, cycling etc. you will burn many calories important for gaining muscle mass. To build muscles fast, do cardio shortly, 2-5 minutes as a warm-up and then focus on strength training. To gain a pound of muscle per week, you need to intake at least 3,500 additional calories per week. 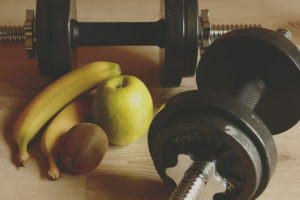 Taking into consideration the fact that to gain muscle mass you need to gain one pound per week, you need to eat 500-1000 additional calories per day to intake 3500-7000 extra calories every week. Bear in mind, you should eat calories from healthy protein sources such as beef, dairy products, fish, healthy fats like avocado, healthy carbs like sweet potato. So, you need to eat complex carbs, healthy proteins foods, and healthy fat foods. Do supplements help in bodybuilding? If you want good results then you need to try some supplements sooner or later. Let’s clear one thing up here. I don’t talk about steroids. 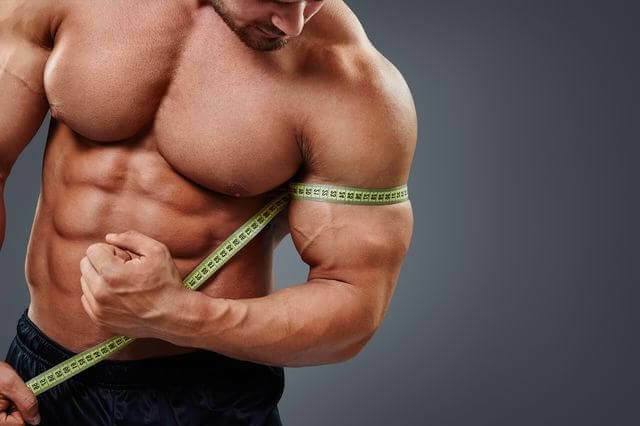 I suggest you read about effective, natural steroids alternative HERE. When you work out many days in a row, you may damage too much your muscle fiber, so it would be difficult to recover and grow. You need to get your muscles group working hard, but then you need to give it time to rest. Your muscles usually need 72 hours to recover properly from a good strength training. There’s one good rule that says you need to let the pain in your muscles disappear completely before you start exercising again. For example, work out your shoulders and chest on Monday and Thursday, your legs and back on Tuesday and Friday, and your arms and abs on Wednesday and Saturday. When you rest, make sure you provide your body everything it needs to recover properly and to make your muscles grow as much as possible. Some things you can do to enhance the recovery process include ice baths or cold showers, compression clothes, massage therapy or stretching, breathing exercises, and proper sleeping. High levels of stress can waste testosterone fast, an anabolic hormone that affects the muscle building and increase the levels of cortisol, a catabolic hormone that damages your muscles. If you have a high heartbeat rate, you are moody, your breathing is shallow, or your body temperature is high, it’s very probable that you are stressed and that disturbs the muscle building process. Learn how to relax, take a deep breath and plan your day ahead so that you can have more free time and less stress. As I said before, testosterone is absolutely the most important male hormone when it comes to muscle mass. But it’s also vital for strength, endurance, and libido. Unfortunately, the level of testosterone drops as we age. If you are over 30, lower testosterone levels can slow down the process of building muscles. 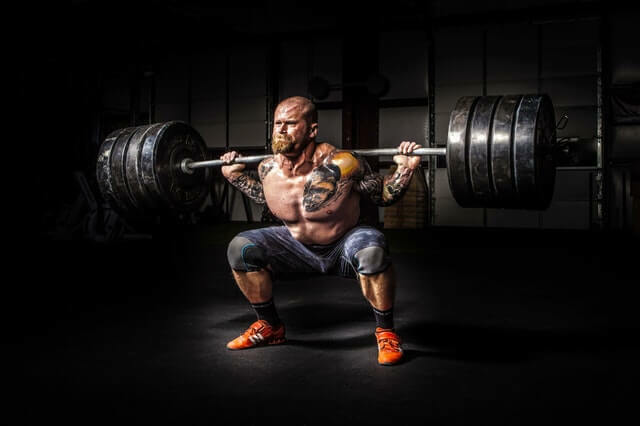 So, if you think you build muscles too slowly or you have any other symptoms that indicate low testosterone, plan a visit to your doctor to check the levels of hormones and deal with any lack of hormones or disbalance. 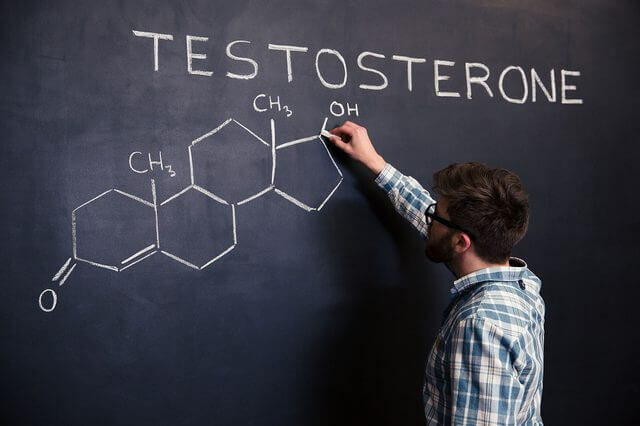 There are many ways to increase the levels of testosterone: you can exercise, adjust your diet, or use testosterone boosting supplements. There’s a chance that you might not drink enough water which can lead to dehydration. When you drink enough water, the effect on your muscles is great-they are bigger and fuller. If you aren’ t hydrated your muscles may look flat and weak because you’ve lost water and not muscles. So, when you work out hard you need more water than usual for your muscles to recover and work normally. The necessary amount of water you need per day if you work out for an hour is at least 14 glasses of water. First, to build muscles fast you need to work out hard and regularly. Second, you need to have a healthy diet. Don’t forget to intake healthy proteins, fats, and carbs. It would be perfect to drink 3 liters of water per day and forget about alcohol and sodas if you want a muscular body. Sleep 7-9 hours since this is vital if you want to build your muscles. Your muscles relax during sleeping and that’s important for their growth. Stress is the main cause for many problems, so take it seriously. It’s the cause of many diseases, and it affects your muscles, as well. Remember that the next time you feel agitated. Be persistent and strong-willed, that’s the only way to achieve your goal. The most important thing is not to give up, remember that your hard work will pay off, and you will win this battle. READ MORE: #1 BODYBUILDING SUPPLEMENT FOR BIG MUSCLES!